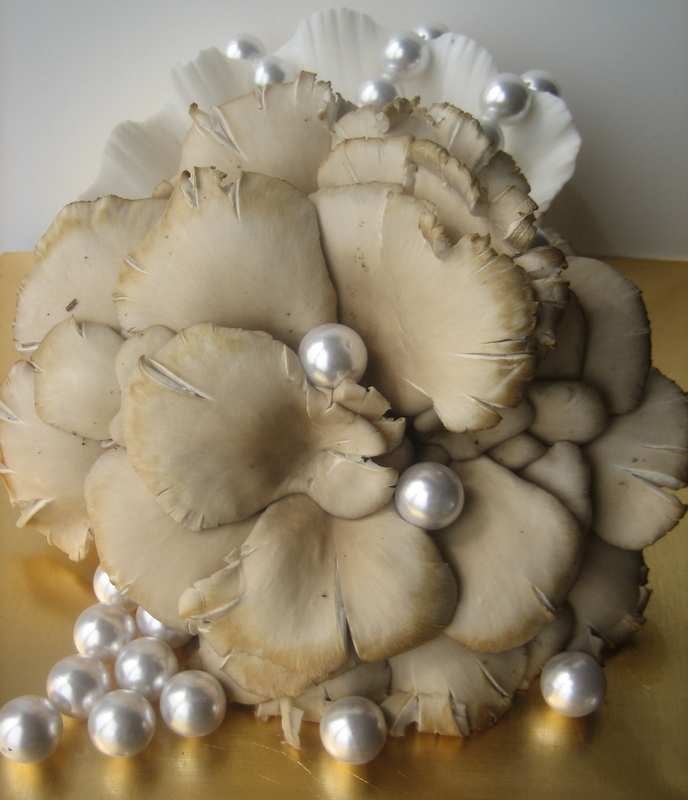 The graceful appearance of the bloom of the oyster mushroom hooked me at the Green City Farmer’s Market. I wondered if I could roast them to keep the whole mushroom together? 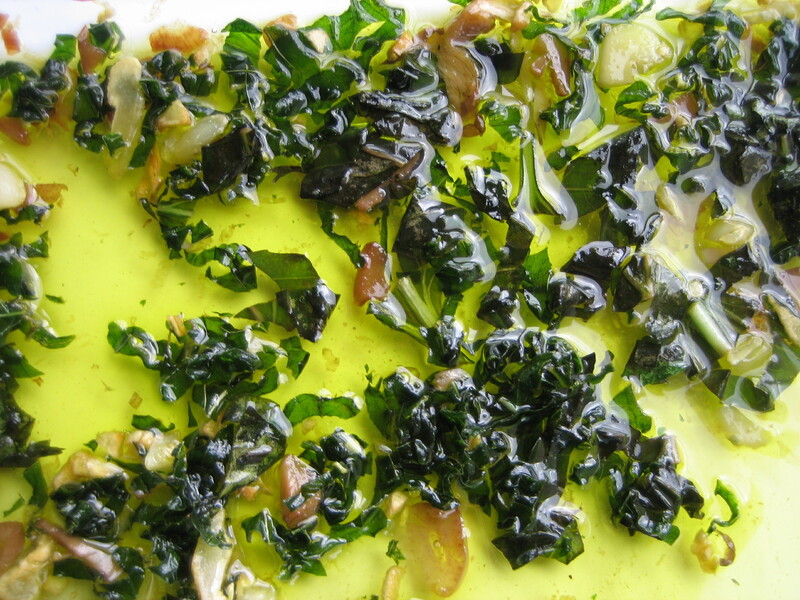 I looked for roasted oyster mushroom recipes and decided to make up my own. I wanted to keep the oyster and pearl theme going and first thought of pearl onions, but they weren’t available. What about Bay Scallops, they’re white and small? They would be wonderful with this Roasted Oyster Mushroom recipe and the texture of the Bay Scallops would add the dimension of the Sea… if you try it please let me know. I had the Mini Potato Gnocchi and decided to make the ‘Pearls‘ vegan by default. Besides their meaty texture and beautiful looks, Oyster mushrooms are a health protecting food. 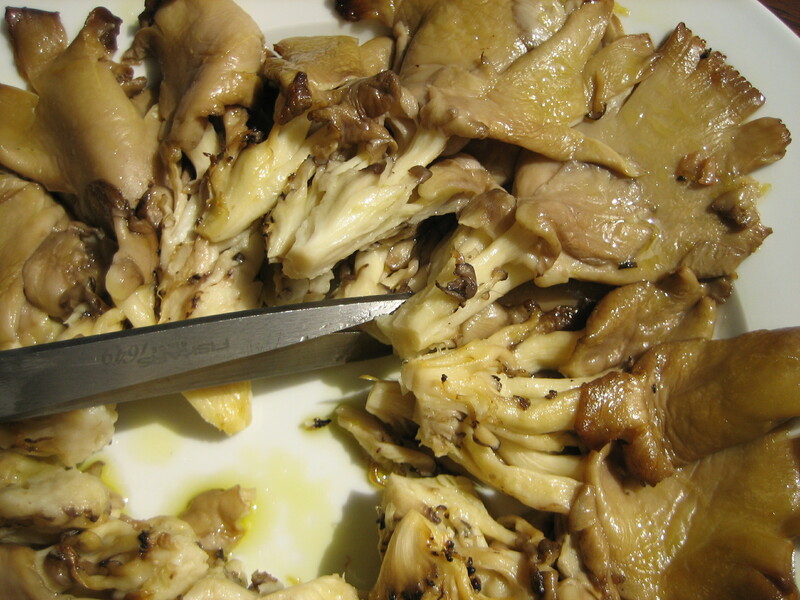 “Oyster mushrooms lower cholesterol and promote the metabolism, lower blood pressure and stimulate blood circulation. They contain taurine, which is a component of bile important for the metabolism of fats, reducing the production and secretion of low density lipoproteins” (LDL’s- bad cholesterol). 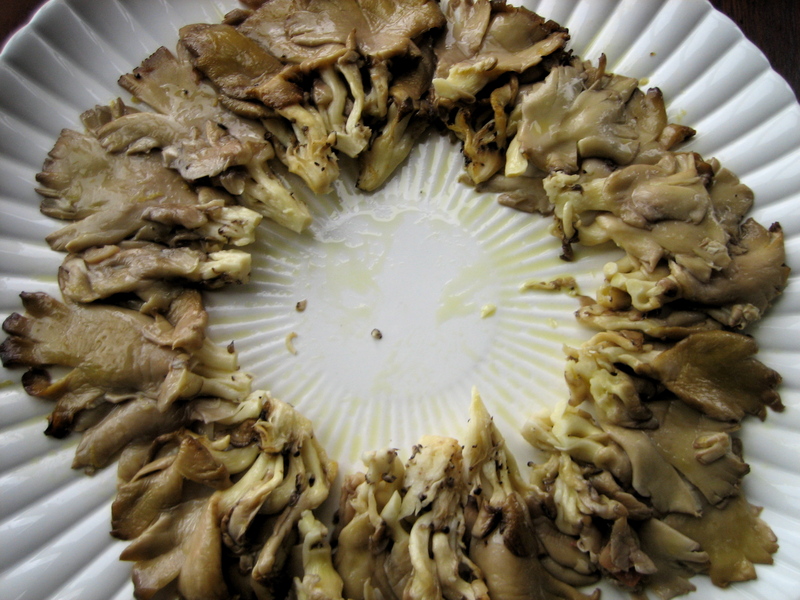 Break Oyster mushroom cluster into 4 to 6 clusters. Trim bottom of stems with scissors. Crush needles from rosemary twig into NSVOO, include garlic pieces from NSVOO, mix with butter in bottom of ovenproof baking dish. Zest 1 lemon into oil, butter, and garlic mixture. 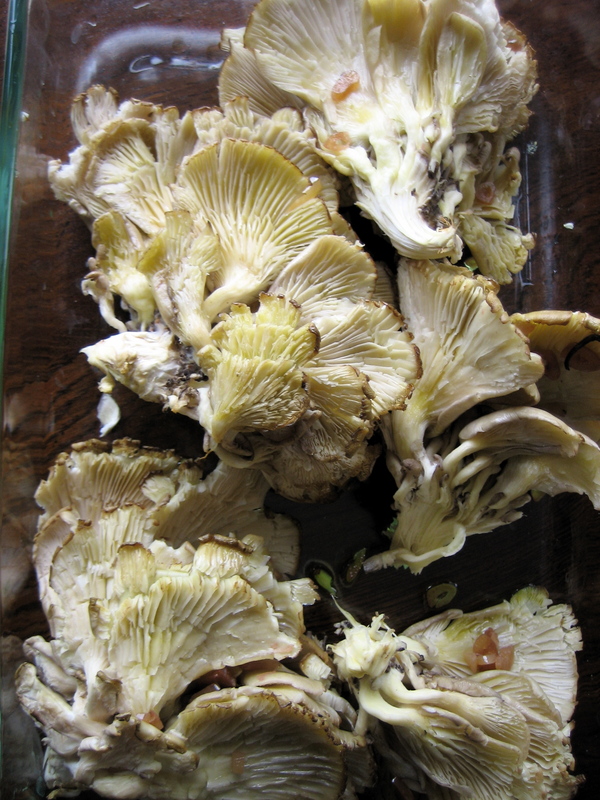 Coat top, underside gills, and between mushroom petals with mixture. 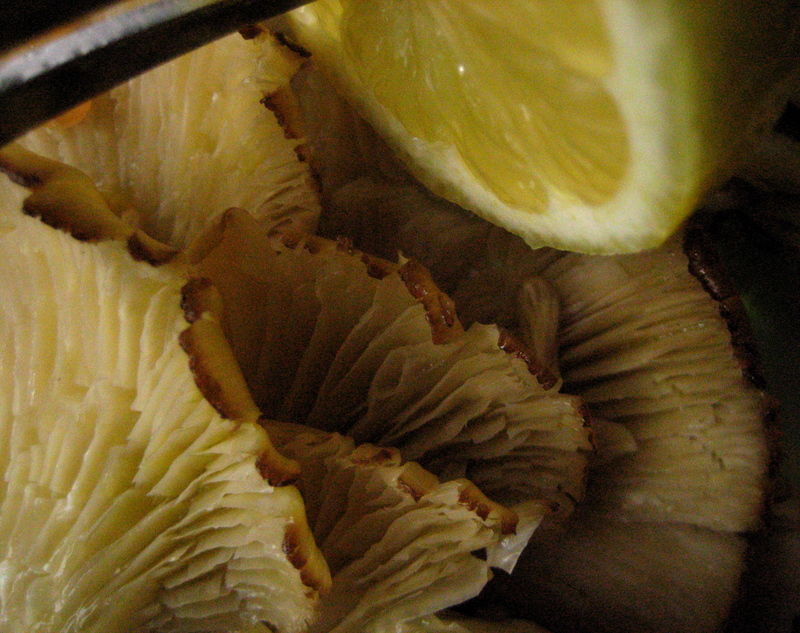 Squeeze lemon juice over the mushroom petals— gill side up. Turn mushroom petal topside down in baking dish. Cover with brown bag and marinate for ½ hour at room temperature. Turn petal-side up and roast for 10 minutes, then open door of oven for 1/2 minute to let out steam. Roast 10 minutes more, open door again for steam to escape. Turn the petal side down for 10 minutes more. This roasting is as slow as a meringue. Cut Roasted Mushrooms into serving size sections petal-side up on serving platter in a ring. 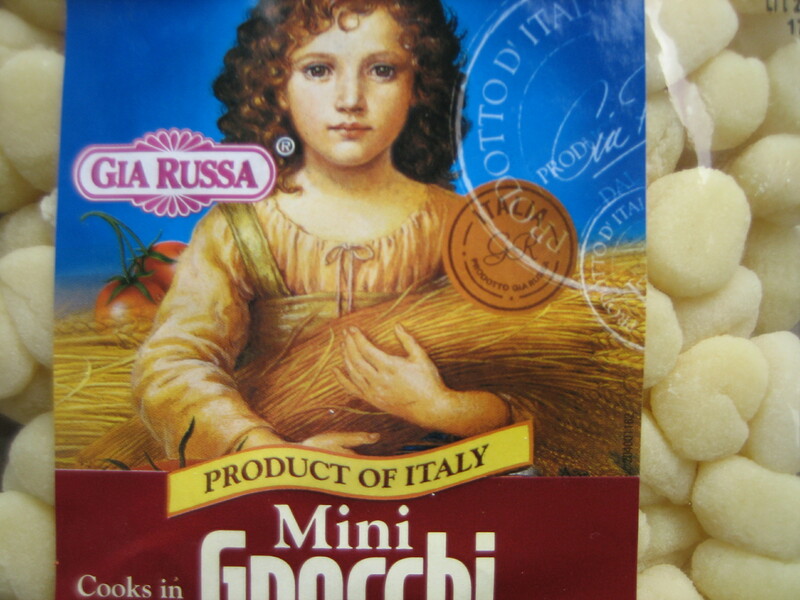 Bring 2 quarts cold water to a boil for Gnocchi. Add Sea salt to the water. Boil 2 minutes, drain, reserve ¼ cup water. 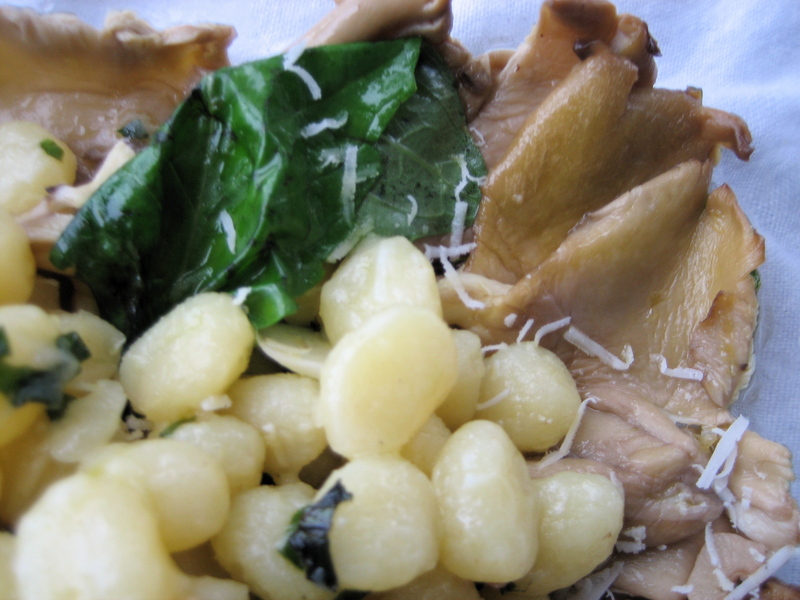 Add ¼ cup extra virgin olive oil and Gnocchi water reserve to mushroom roasting marinade include smaller pieces of mushrooms in bottom of ovenproof pan and mix together with basil for sauce. Coat Basil leaves for garnish with sauce. Add Gnocchi to sauce in pan and coat. Pour Pearl Gnocchi and sauce into center of roasted mushroom ring. Shave or grate fresh Parmesan cheese on each serving. 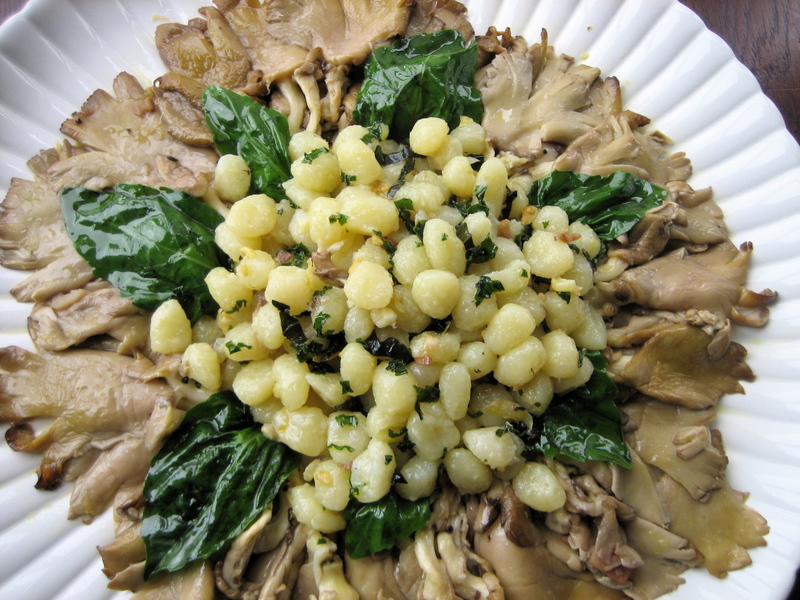 Tags: Farmer's Market, Healthy, Inspiration, Italian Cooking, Low calorie, Photography, Quick and Easy, Recipes, Roasted Oyster Mushrooms and Pearls, vegetables. Bookmark the permalink. I love the pictures, so beautiful they are art. I’ll have to keep a look out for oyster mushrooms. Thanks for the new ideas!!! Yum! I have been waiting for this recipe ever since you tested it on me! I wonder if I can find all of the ingredients!? looks like a filling rainy day dinner! If it tastes half as good as it looks it will be a knockout! Your fushion of food and art has risen to a new level, but combining the term would sink to a lower one…a true arftist…Your creative kitchen stands alone, well done. Bravo!